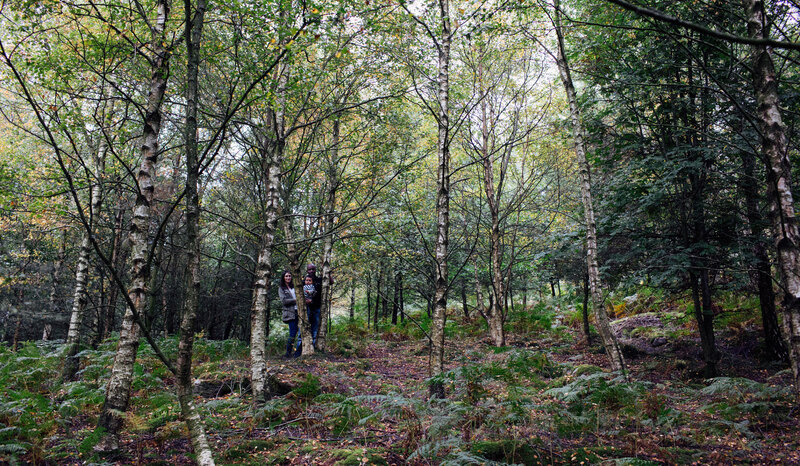 This woodland is particularly interesting and unusual as the plantings have been designed to illustrate the succession of different types of woodland which are believed to have colonised this area naturally since the last Ice Age. This woodland is particularly interesting and unusual as the plantings have been designed to illustrate the succession of different types of woodland which are believed to have colonised this area naturally since the last Ice Age. As well as tree planting, the project included the replacement of a footbridge across the beck, stabilisation of the footpaths and an interpretation panel. The woodland is located on the Bolton Abbey Estate in the upper reaches of Posforth Gill, a tributary of the River Wharfe. The site is approximately 2 miles (return) from the Cavendish Pavilion car park on the Bolton Abbey Estate. A permissive footpath runs through the woodland, which is usually open at all times. At the Cavendish Pavilion cross over the wooden bridge, turn left into the field and follow the path alongside the river. Climb the stile to reach the road where you turn left. Follow the road for 200m and on reaching Waterfall Cottage, turn right through a gate leading to a good track up the hill. Follow the path for 970m and you will reach the first plantings which are located on either side of the footpath. These areas illustrate the Pre-Boreal (12000 – 8000 BC) and Boreal (8000-5500 BC) phases and tree species include willow, birch, juniper, hazel and Scots pine. Continue along the footpath for approximately 450m until you reach the pond. To your left, you will see the third fenced planting which represents the Atlantic Period (5500-2500 BC) and includes oak, lime, hazel and juniper. To your right, on the side of the hill is the fourth and largest planting which illustrates woodland as it may have been today, if man had not intervened. This fenced area includes oak, ash, Scots pine, field maple, hawthorn, juniper and holly. There is a network of public footpaths in this area and you may wish to include the Valley of Desolation in a longer walk. If you are planning a special visit please check that the path is open by contacting the Bolton Abbey Estate Office Tel: 01756 710227.